Sub:- School Education Department – implementation of e-Hazar Updation of RD Services in Finger Printer Devices - withdraw the non utilized Finger Print devices from schools – Reg. 1.Letter Ref No. KDMSL/APSE/201809/0001, Dt 04/09/2018 of M/s Karvy Data Management Services Ltd.
3. Letter even No. dated 20-11-2018 addressed the M/s Karvy Data Management Services Ltd.
All the Regional Joint Director of School Education and District Educational Officers in that state are informed that the Department of School Education, Govt. of Andhra Pradesh is implementing the Aadhaar Enabled Biometric Attendance System (AEBAS) at various schools in the State through IRIS tabs and Finger Print Devices. Further, M/s Karvy vide reference 2nd cited above informed that out of the 37,000 devices supplied, 20,000 devices are dysfunctional as per the recent mandates given by UIDAI (Updation of RD services). 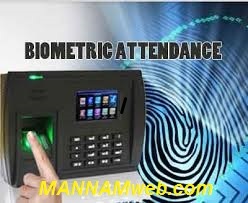 Due to which authentication and capturing of attendance of teachers through finger print devises is stopped since, August - 2018. Basing on the above, a letter was addressed to UIDAI requesting to exempt the Karvy Mantra devises being used by School Education Department from compliance to the UIDAI orders cited 2nd above and to permit the department to continue to utilise the Mantra devises til more compliant devises are deployed. So far such an exemption orders are awaited from UIDAI. In view of the above, necessary instructions were issued to the M/s.Karvy Data Management Systems to with draw 20000 dysfunctional devices from the schools vide in the reference 3rd cited. In this connection, al the District Educational Officers in the state are instructed to issue instructions to all the Head of the institutions and District / Mandal Nodal persons of e-Hazar to withdraw the Karvy Mantra devises not being utilised since August-2018 only and hand over the same to Karvy coordinator duly registering the acknowledgement. Further, the District Nodal Persons (ehazar) are instructed to collect the SIMcards inserted in those devices and same should be handed over to State Nodal Person(Ch V S Ramesh Kumar, O/o CSE) immediately for onward deactivation. The entireexercise should be completed by 30th Nov 2018 and submit the compliance report to theundersigned. The information on the devises handed over shall be uploaded on the CSEportal in the concerned MEO / Dy EO logins. Therefore, all the District Educational Officers in the state are instructed to takenecessary steps to complete the above exercise and complete the rationalisation ofdevices within the district to obtain 100% teachers attendance.